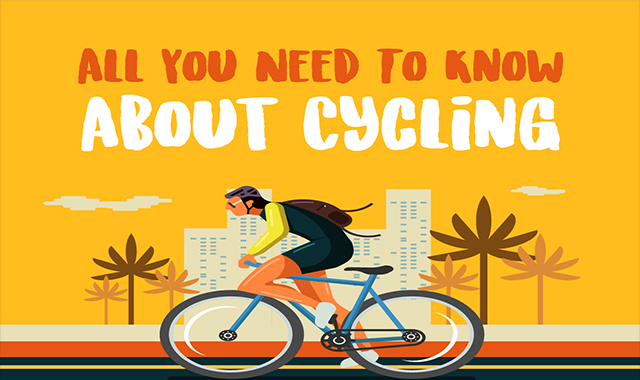 All You Need To Know About Cycling #infographic ~ Visualistan '+g+"
Cycling might have been only a hobby a long time ago, but today, it is a lifestyle! Aside from being one of the most interesting leisure activities for millions of people, cycling has an undeniably positive effect on the overall human health and wellbeing. As there is more to cycling than just riding a bike, people engaging in this activity are always looking for ways to improve their experience. Sure, owning a killer bicycle is every rider’s dream, but why stop there? All cyclists know that once you get into the cycling euphoria – there’s no turning back! Other than being excited about the coolest ride, cyclists nowadays are even more excited about accessorizing their baby! It’s even more exciting when you stumble upon Competitive Cyclist promo codes and get a bargain deal on any bike-related item.